Susanne has also pointed Readers to the Gov.UK ‘Correspondence’ page. The Council for Science and Technology (CST) makes four recommendations to Prime Minister Theresa May on how technology could help address the specific challenges affecting social care and support. The page includes links to the CST letter of recommendations and the PM’s response. [grow_thumb image=”http://telecareaware.com/wp-content/uploads/2017/09/Could-you-care.jpg” thumb_width=”100″ /]North Somerset Council (west of Bristol in UK’s mid-southwest) provides care for more than 2,800 people. Their budget for adult social care this year is £65.3million. Yet even with this large budget, the trend is not its friend, according to Hayley Verrico, the council’s assistant director of adult support and safeguarding. In addition to the demand created by more older people and the ‘old-old’ growing frailer, there are special needs children who enter adult social care. The priority is to enable them to stay at home. Will this increased demand be met by technology? Ms. Verrico believes so, giving examples such as telecare and assistive technology for PERS, automatic tap (water) shutoffs, and door/wander sensors. The paradox is that carers also need to be trained in the meaningful monitoring and support management part of home care, transitional care, and encouraging that person to be more independent in activity, versus the traditional hands-on part of direct care. Ericsson report: will 5G close the healthcare gap from hospitals into the home? Growing frustration with hospital wait times. 39 percent prefer an online consult with a doctor versus waiting for the face-to-face. Wearables are perceived as better ways to monitor and even administer medication for chronic conditions–nearly two in three consumers want them. But medical grade wearables will be required. +/- 60 percent of surveyed consumers believe that wearables will improve lifestyles, provide personalized care, and put people in control of their own health. There’s real security concerns that 5G is expected to access: “61 percent of consumers say remote robotic surgery is risky as it relies on the internet….47 percent of telecom decision makers say that secure access to an online central repository [of medical records] is a key challenge and expect 5G to address this.” Surprisingly, only 46 percent of cross-industry decision makers consider data security to be an issue. Battery power is also a significant concern for over half in wearables, a problem that over 40 percent will be helped by 5G. Even more surprising is the lack of desire for consumer access to their medical records–only 35 percent of consumers believe that it will help them easily manage the quality and efficiency of their care. In contrast, 45 percent of cross-industry experts consider the central repository as a breakthrough in healthcare provisioning. Industry analyst Laurie Orlov previews her annual review of ‘Technology for Aging In Place’ on LinkedIn with six insights into the changes roiling health tech in the US. We’ll start with a favorite point–terminology–and summarize/review each (in bold), not necessarily in order. “Health Tech” replaces “Digital Health,” begins acknowledging aging. This started well before Brian Dolan’s acknowledgment in Mobihealthnews, as what was ‘digital health’ anyway? This Editor doesn’t relate it to a shift in investment money, more to the 2016 realization by companies and investors that care continuity, meaningful clinician workflow, access to key information, and predictive analytics were a lot more important–and fundable–than trying to figure out how to handle Data Generated by Gadgets. Niche hardware will fade away – long live software and training. Purpose-built ‘senior tablets’ will likely fade away. The exception will be specialized applications in remote patient monitoring (RPM) for vital signs and in many cases, video, that require adaptation and physical security of standard tablets. These have device connectivity, HIPAA, and FDA (Class I/II) concerns. Other than those, assistive and telehealth apps on tablets, phablets and smartphones with ever-larger screens are enough to manage most needs. An impediment: cost (when will Medicare start assisting with payments for these? ), two-year life, dependence on vision, and their occasionally befuddling ways. Voice-first interfaces will dominate apps and devices. “Instead we will be experimenting with personal assistants or AI-enabled voice first technologies (Siri, Google Home, Amazon Alexa, Cortana) which can act as mini service provider interfaces – find an appointment, a ride, song, a restaurant, a hotel, an airplane seat.” In this Editor’s estimation, a Bridge Too Far for this year, maybe 2018. Considerations are cost, intrusiveness, and accuracy in interpreting voice commands. A strong whiff of the Over-Hyped pervades. Internet of Things (IoT) replaces sensor-based categories. Sensors are part of IoT, so there’s not much of a distinction here, and this falls into ‘home controls’ which may be out of the box or require custom installation. Adoption again runs into the roadblocks of cost and intrusiveness with older people who may be quite reluctant to take on both. And of course there is the security concern, as many of these devices are insecure, eminently hackable, and has been well documented as such. Tech-enabled home care pressures traditional homecare providers – or does it? ‘What exactly is tech-enabled care? And what will it be in the future?’ Agreed that there will be a lot of thinking in home care about what $200 million in investment in this area actually means. Is this being driven by compliance, or by uncertainty around what Medicare and state Medicaid will pay for in future? Robotics and virtual reality will continue — as experiments. Sadly, yes, as widespread adoption means investment, and it’s not there on the senior housing level where there are other issues bubbling, such as real estate and resident safety. There are also liability issues around assistance robotics that have not yet been worked out. Exoskeletons–an assistance method this Editor has wanted to see for several years for older adults and the disabled–seems to be stalled at the functionality/expense/weight level. [grow_thumb image=”http://telecareaware.com/wp-content/uploads/2014/04/Thomas.jpg” thumb_width=”150″ /]’Bed-blocking’ as a signal failure of transitional care. Here is a term that may be unique to the UK, but not the problem: older people who cannot be discharged after an illness because there is no plan and no suitable place for transitional care and/or a safe return home with care. According to the Guardian, the term originated among UK healthcare managers and economists as early as the late 1950s as a marker of system inefficiency. The writer, Johnny Marshall, director of policy for the NHS Confederation, correctly notes that it should be a marker of “(a) system that has failed to move quickly enough to put together the right package of care to enable the person in the bed to return home” and that unfairly blames the patient. He gives examples of programs across Britain with home assessment and care, particularly for older people post-fall injury, that reduce or eliminate hospital days. [grow_thumb image=”http://telecareaware.com/wp-content/uploads/2016/03/elderly-smartphone.jpg” thumb_width=”150″ /]Laurie Orlov’s updated view of technologies that assist home caregiving/living, and her observations on trends for both boomers and those well over 65, is hot off the (virtual) presses and available here on her website. It is US-market oriented, but the trends explored here will be of interest internationally. 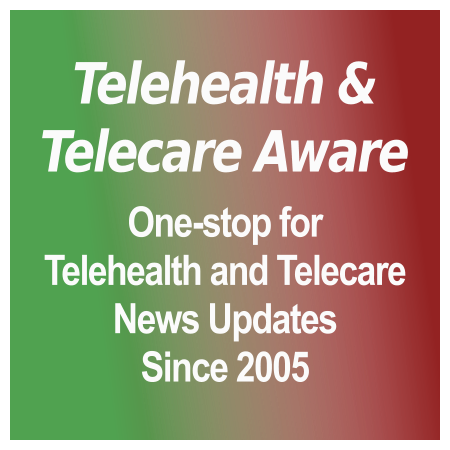 The focus in this study is home-based systems for safety, alerts, activity/location tracking (telecare), home care/caregiving tools and what this Editor would call ‘health monitoring light’–med minders and logging apps versus medically-oriented telehealth (vital signs, save for AliveCor) and telemedicine (virtual visits/consults). In communication, internet non-usage among 75+ has declined to 50 percent over the past 15 years. The tablet form factor is losing ground as smartphones get bigger. Older adults and smartphones are beginning to ‘get along’ partly as they grow larger, but also that feature and simple phones are becoming less available. Also losing ground is senior housing–residents are delaying entry to assisted living until they are mid 80s and frailer. Savings and debt in the boomer group is low and high, respectively. Investors are caring more about home care, with large investments ($80 million) in three regional home care worker startups: Honor (San Francisco), Home Hero (Los Angeles), and Hometeam (New York/New Jersey), caregiving apps and chronic care management (CareSync, with an $18 million raise). Dementia care support tools are (finally) developing into its own category. Surprising conclusions: PERS alerting stays strong, but changes to be mobile-enabled and more cosmetic; a lot of convergence of categories and forms; and the term ‘health tech’ will replace ‘digital health’. Oh my! We wonder if in the US we will see more of Tunstall at events like the mHealth Summit. Tunstall Americas has a refreshed website and communications as ‘The voice of connected health’, is more strongly promoting their call/contact services and its HQ location in New York City. 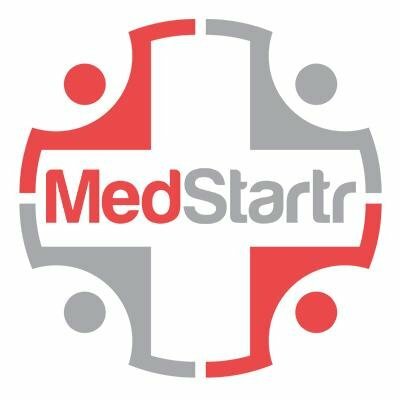 We’ve previously noted their recent home care acquisitions and partnership with QMedic. Undaunted by the apparent lack of interest in their multi supplier framework agreement for telecare & telehealth tender last year, the East Shires Purchasing Organisation (ESPO) is now seeking to establish a multi supplier framework agreement for the supply of systems to facilitate the monitoring by local authorities and other service commissioners and service providers of home-based care services. The framework will apparently also include solutions and products that assist in the scheduling of home care visits and the rostering of care staff. According to the announcement, the requirement is for both stand alone and integrated systems, with various hosting options and technologies. Systems should ideally be tailored to the needs of the home care sector. At this stage, ESPO is keen to engage with interested parties to discuss the products and services currently available in the market, options regarding the structure of the procurement and the anticipated direction of future market developments. Those keen to participate in this market consultation are asked to contact Louis Blake on 0116 294 4055 or l.blake@espo.org, by 30 August 2014. When it comes to home health care, the C in CMS (Centers for Medicare and Medicaid Services) should perhaps stand for ‘contradiction’. According to recent reports appearing in the pre-holiday ‘dead zone’ of late last week, CMS has decreed that it must save, as part of a four-year plan under ACA, $58 million (0.3 percent) in fiscal 2015 (starting 1 Oct) from home health agencies which were formerly touted as a great way to save money. To put this in perspective: in 2013, Medicare paid about 12,000 home health agencies $18 billion to provide services to 3.5 million patients. In the US, Medicare has always had more restrictive rules for home and community-based services (HCBS); state-administered (but Federally subsidized) means-tested Medicaid still pays for the vast majority of long-term care (well over 60 percent, according to another Federal agency, Housing and Urban Development [HUD]), which strikes many observers as one pocket to another. So where are the contradictions? Conundrum #1: CMS has emphasized post-discharge, post-acute care as part of reducing acute care costs, exemplified in the penalty for 30-day same-cause readmissions. Nursing home expenditure is at least three times more costly than in-home LTC (a conservative estimate used by HUD).